8205 Tranquil Harbor Lane (Tranquil Harbor) Bedrooms: 4 Full Bathrooms: 3 Half Bathrooms: 1 Square Feet: 3,200-3,900 Lot Size: .64 Waterfront investment! This all brick home is located in a small, quiet community on Lake Norman and offers a large rear yard with dock with boat slip & lift, in-ground irrigation,patio and a deck. 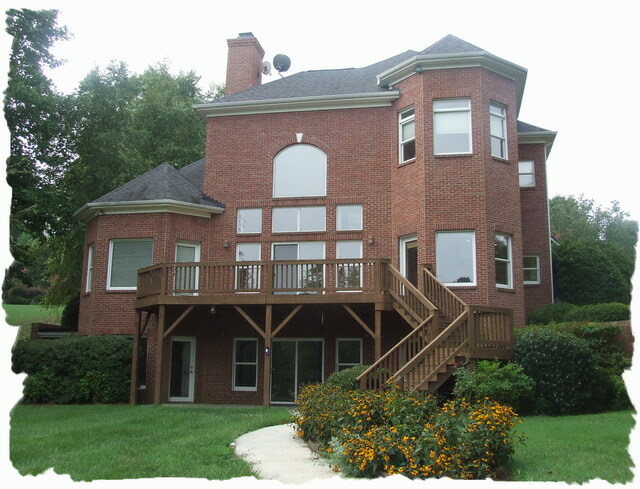 Large two story great room that overlooks rear yard and lake. Beautiful stone fireplace in great room with room for flat screen tv. Stainless steel appliances and granite tops in the kitchen plus separate breakfast area and lake views. Owner’s suite on main level with large walk-in closet & lake views. Loft and additional bedrooms on second level. Full basement with bedroom, full bathroom, game room with second fireplace and a custom bar. A lot of home for the money! Some properties that appear for sale on this website may subsequently have been sold and may no longer be available. This entry was posted in Buyers, Denver - Listings, Denver - NC, Denver - Subdivisions, Denver - West Norman, Lake Living - Lake Norman - NC, Lee Ann Miller Team, Lincoln County - NC, North Carolina, Real Estate - Buyers, Real Estate Market, Relocation, Water, Waterfront Home and tagged 4 bedroom 3/1 baths, Denver - Listings, Denver - Subdivisions, Denver - West Norman, Denver Homes For Sale, Denver NC Homes for Sale, Denver Waterfront Homes For Sale, Lee Ann Miller Team, Lincoln County - NC, Tranquil Harbor, waterfront, Waterfront homes for sale, waterfront homes for sale in Lake Norman area by Lee Ann Miller. Bookmark the permalink.